There are numerous options for dental treatments out there, so how do you choose which are right for you? 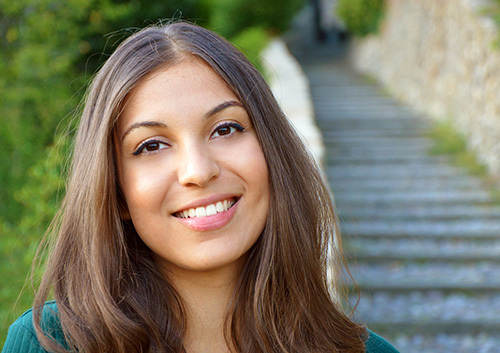 Our experts at Blair Ridge Dental have handpicked the three must-have procedures that we believe can benefit nearly every patient. 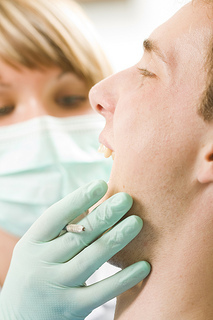 Periodontal Exam: This should happen at least once a year and is quick and painless. Dr. Sardzinski, Dr. Wilken, Dr. Stanley, Dr. Hanson and Dr. Heying or your hygienist will carefully probe around each tooth and take measurements that indicate the health of the bone and its supporting tissue. This appointment is worthwhile because of the known fact that gum disease can increase the risk of potentially fatal conditions such as heart disease and stroke. Silent killers like diabetes can show signs in the mouth before the person becomes aware of other symptoms. Did you know adults lose more teeth to periodontal disease than to cavities? A simple screening once a year could save your smile and boost your overall health! In-office Whitening: Most people develop tooth stains. in-office whitening at our Hiawatha, IA office is the perfect way to correct discoloration. It’s safe and produces dramatic results in a short amount of time. In two hours, you could take years off your age. Who wouldn’t want that? Oral cancer is largely viewed as a disease that affects those over the age of 40, but it can affect all ages, even non-tobacco and alcohol users. Oral cancer can occur on the lips, gums, tongue, inside lining of the cheeks, roof of the mouth, and the floor of the mouth. Our team at Blair Ridge Dental recently put together some facts and figures to illustrate the importance of visiting our Hiawatha, IA office. Our friends at the American Cancer Society recommend an oral cancer screening exam every three years for people over the age of 20 and annually for those over age 40. Because early detection can improve the chance of successful treatment, be sure to ask Dr. Sardzinski, Dr. Wilken, Dr. Stanley, Dr. Hanson and Dr. Heying and our team to conduct an oral exam during your next visit to our Hiawatha, IA office. Cancer can affect any part of the oral cavity, including the lip, tongue, mouth, and throat. Through visual inspection, Dr. Sardzinski, Dr. Wilken, Dr. Stanley, Dr. Hanson and Dr. Heying and our team at Blair Ridge Dental can often detect premalignant abnormalities and cancer at an early stage, when treatment is both less extensive and more successful. The process for placing sealants is painless and quick. First, Dr. Sardzinski, Dr. Wilken, Dr. Stanley, Dr. Hanson and Dr. Heying will clean the tooth with a baking soda spray. An acid etch is applied in order to “roughen up” the surface of the tooth and re-mineralize the area. The area is dried with an alcohol-based liquid and the sealant is placed on the grooves of the tooth. A special light then hardens the liquid into a plastic-like material. An investment in dental sealants can prevent tooth decay and complicated dental problems later on. It’s a no brainer! Call our Hiawatha, IA office today to speak with us about getting sealants on your teeth. Once your child’s first tooth comes in, it’s time to start thinking your baby’s first trip to our Hiawatha, IA office. The American Dental Association suggests that you bring your child to the dentist within six months of the appearance of the first tooth, or at about one year of age. Dr. Sardzinski, Dr. Wilken, Dr. Stanley, Dr. Hanson and Dr. Heying can do a quick check for tooth decay, and we’ll make sure you know how to take care of your child’s new teeth.